CHARLOTTE, N.C., September 26, 2017 /3BL Media/ -- For the 13th consecutive year, Duke Energy has been named to Site Selection magazine's annual list of "Top Utilities in Economic Development." 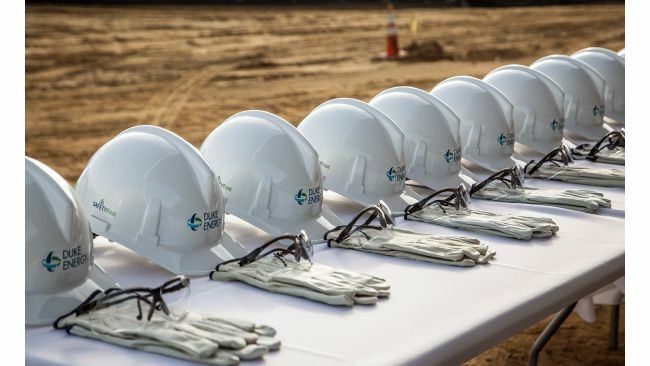 In the magazine's September edition, it credits Duke Energy's economic development team and its successful collaboration with state and local partners for delivering more than $4 billion in capital investments and more than 14,000 new jobs in 2016. Duke Energy has been featured on the list every year since 2005. This year, the magazine also recognizes the efforts of Duke Energy and other utilities to build smarter energy infrastructure and the beneficial impacts it has on job recruitment and retention. "We are investing $25 billion over the next 10 years to create a smarter, more modern grid that delivers the services our customers expect," said Stu Heishman, Duke Energy's vice president of economic development and business recruitment. "Today, the grid stands as a one-way road. In the future, it must become a multilane highway, sending energy and information in both directions." In 2016, the company's economic development team focus areas included the acquisition of Piedmont Natural Gas, which brought new service territory in the Carolinas and Tennessee; expanding the business recruitment team in key cities across the United States; and forming an electrification team to lead Duke Energy's efforts to promote wider adoption of new and emerging grid-enabled technologies, including electric vehicle charging infrastructure. "Economic development is a team sport and we are a key position player – we work with many allies in different capacities throughout the economic development process to achieve success," Heishman said. "Our team is committed to the mission of adding capital investment and jobs in the communities across our now seven-state service area." To read the full article, go to siteselection.com/issues/2017/sep/top-utilities-decision-enhancers.cfm.